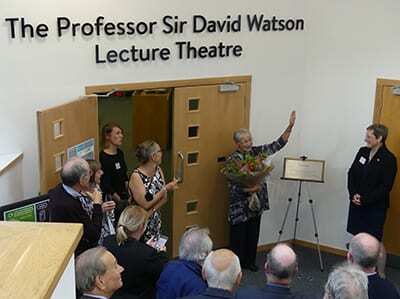 We have renamed Mayfield House, located on our Falmer campus and home of the School of Applied Social Science, in recognition and memory of Professor Sir David Watson. Professor Sir David Watson, was Director of Brighton Polytechnic from 1990 to 1992 and the first Vice-Chancellor of the University of Brighton from 1992 to 2005. Tagged Professor Sir David Watson, university of brighton. Bookmark the permalink.